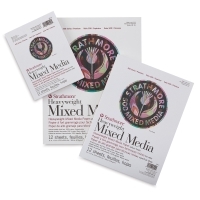 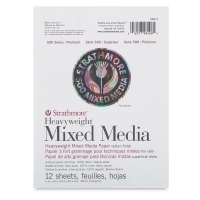 The ultimate heavy-duty surface for mixed media art, Strathmore 500 Series Heavyweight Mixed Media Paper is internally sized to stand up to multiple layers of wet media, and has a durable vellum surface that's perfect for drawing. 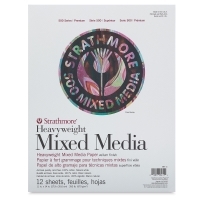 Use this 350 lb (570 gsm) paper with watercolors, gouache, acrylics, graphite, pen-and-ink, colored pencils, markers, pastels, and collage. Available in a variety of sizes, Strathmore Heavyweight Mixed Media Pads each contain 12 sheets of natural white paper made from 100% cotton. 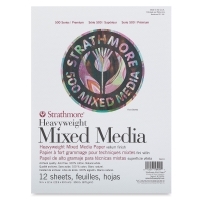 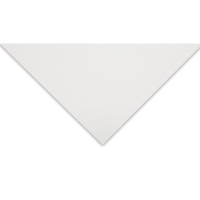 Gluebound for clean and easy removal, the 3-ply sheets are lignin-free and archival.